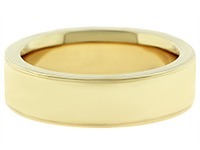 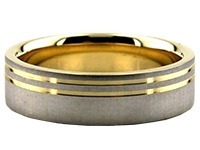 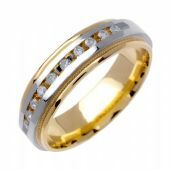 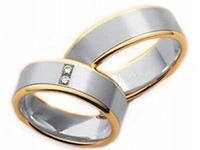 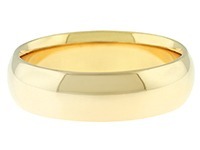 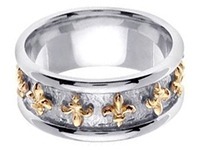 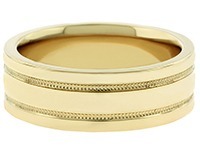 This 14k Gold Two Tone Wedding ring is 6mm wide and approximately 2mm thick. 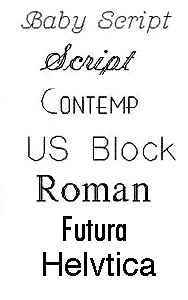 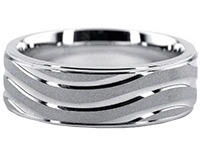 Contains a closed channel setting. 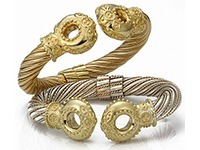 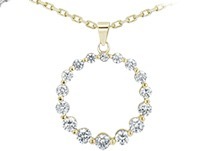 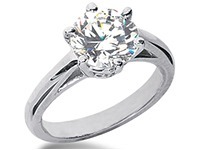 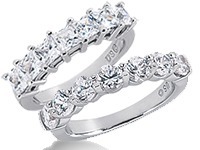 This form of beauty is manufactured by our jewelery expert manufacturers. 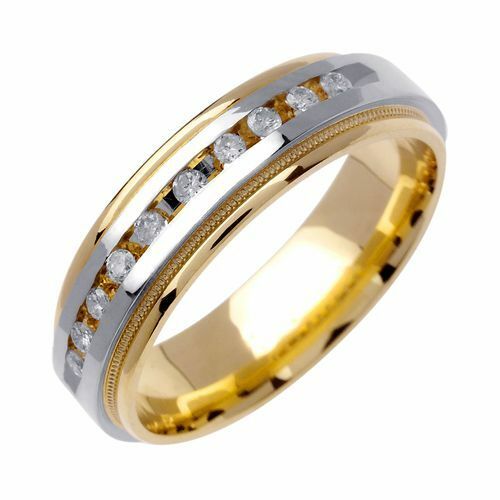 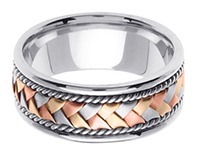 This elegant looking work of art holds yellow gold shiny edging containing milgrain channels, along a two tone design. 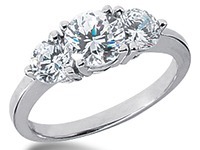 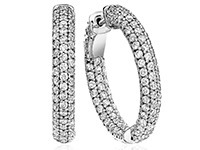 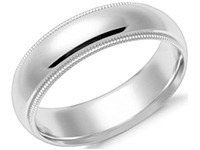 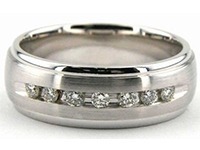 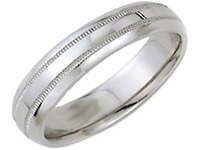 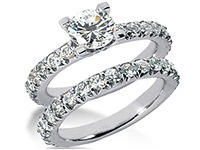 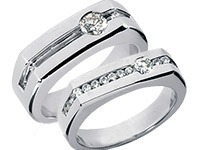 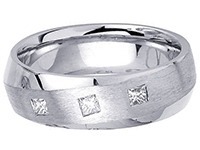 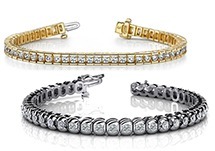 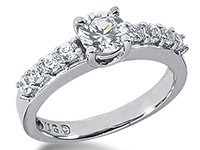 This elegant band holds together ten round brilliant stones, on a shiny white gold finish. 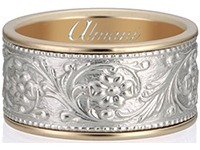 The contrast from yellow gold edging on the ring compared to the white gold shiny centerpiece finish allow for a unique mixture to the wedding bands. 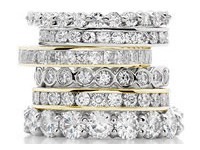 Debating on whether to choose from our Two Tone Wedding Rings or one of our more extravagant pieces of work, you can be sure that all of our products are designed, and manufactured by the hands of one of our expert jewelers at our factory located in New York City.